Synthetic monitoring has been around in the tech industry for over two decades and its adoption rate has only been rising year after year. With that, the number of companies who claim to offer synthetic monitoring has also been steadily increasing. 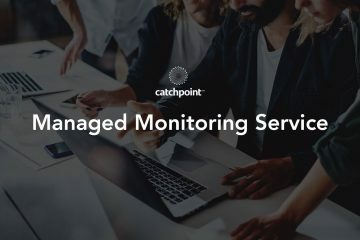 Prior to starting Catchpoint, our founders were responsible for some of the largest infrastructures in the world and used synthetic monitoring tools on a daily basis. After realizing there were certain challenges that needed to be addressed to provide an efficient digital experience, they decided to build their own tool to do the job. Challenge #1: In the beginning stages of monitoring, there were a handful of companies who offered synthetic monitoring services that primarily focused on actively monitoring web applications from the end users’ perspectives, i.e. monitoring from different cities and ISPs. While the core monitoring methodology of these companies was correct, they failed to reduce the MTTR. Challenge #2: The companies that emerged later adopted the strategy of building low-cost synthetic monitoring solutions. It failed to serve its purpose, though, because the adopted methodology was only partially correct. Challenge #3: The Internet space evolved over the years with new technologies such as HTML5, single page apps, responsive websites, new caching methodologies, new protocols (Websockets, HTTP/2, MQTT), and technology providers (DNS, ADC, CDN/Multi-CDN, Cloud/Multi-Cloud, SAAS, etc.) also evolved drastically. However, these synthetic monitoring services failed to adapt, in turn forcing companies to use services from multiple vendors. Challenge #4: Finally, active monitoring/synthetic monitoring is all about collecting data actively from multiple perspectives and the collected data has multiple recipients – NOC, OPS, DEV, ENGG, marketing, business, vendors, etc. The users should be able to slice and dice the collected data based on their needs; however, almost all of the solutions in the market today have rigid reporting capabilities forcing users to explore yet another solution just to analyze the monitored data in a customized way. This blog series is an effort to clearly define the synthetic monitoring methodology and establish an efficient way to measure digital experience by addressing all the four challenges highlighted above. While this core methodology worked well, companies who offered monitoring services based on this methodology failed to address the four challenges described above. While the traditional synthetic monitoring solutions were good at detecting a problem, they couldn’t pinpoint the root cause of the problem. Which means the users had to run additional tests to isolate the issue and this made it difficult to detect the problem quickly. Example 1: If a user is unable to access a website because of a DNS error, most synthetic solutions can report the errors, but won’t be able to indicate exactly what is failing within the DNS. Example 2: If the user’s connection to an application times out, the synthetic solution will not be able to identify the cause of the failure. If the timeout resulted from an ISP failure, multi ISP failure, application failure, etc. This leads to an incomplete diagnosis of a problem and a poor user experience. Intelligent monitoring platform where our monitoring nodes are stateless, which means that if the testing environment is not healthy, the test will not run and this helps avoids false positives. Automated debugging. This replaces the manual troubleshooting required after an alert is triggered. Catchpoint automatically performs debugs such as DIG, DIG + Trace, Traceroute, Ping, Auto Verify tests, intelligent alerts, historical compare, and smartboards to look at all details at a single glance. These features help reduce the MTTR significantly. While companies have adopted the approach of simulating end users actions, many hosted their monitoring nodes/servers on cloud services such as AWS, Softlayer, Azure, etc. CDNs have moved on from just network acceleration & caching services to Managed DNS, WAF, FEO, Cloud services, etc. Additional features enable companies to capture custom metrics of your choice, evaluate vendor performance and your SLAs, and more. As discussed above, synthetic monitoring is all about collecting and analyzing data from multiple perspectives. 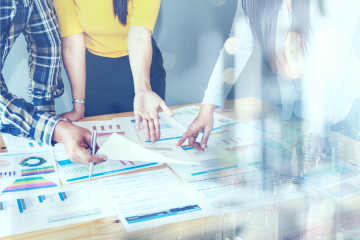 Every company has a unique approach to analyze data, and catering to their needs is extremely important to ensure optimal value. This is the biggest limitation that is pushing users to either depend on their own spreadsheets and pivot charts or to buy third-party tools for data analysis. 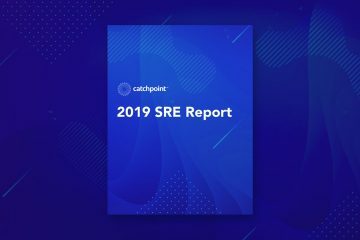 The fact that the founders of Catchpoint were already familiar with similar solutions enabled them to understand the features and flexibility that the user expected from these tools. Catchpoint data analysis and reporting were built to address these challenges. We offer 35+ metrics to choose from and provide flexibility for slicing and dicing data within the UI. In addition to this, Catchpoint offers custom visualizations to enable users to build custom charts and graphs. Users can access their data from Catchpoint by integrating third-party tools, such as DataDog or Slack, using Webhooks and REST API. In our next blog, we will discuss different types of monitoring nodes/servers and when to use them.